Thanks to Keith Willis for his excellent photos. “Wind, sun, a great organization and a friendly atmosphere: the RS Aerocup 2018 at La Baule was a real success!” was the summing up quote of first time RS Aero competitor, Benoit of France. 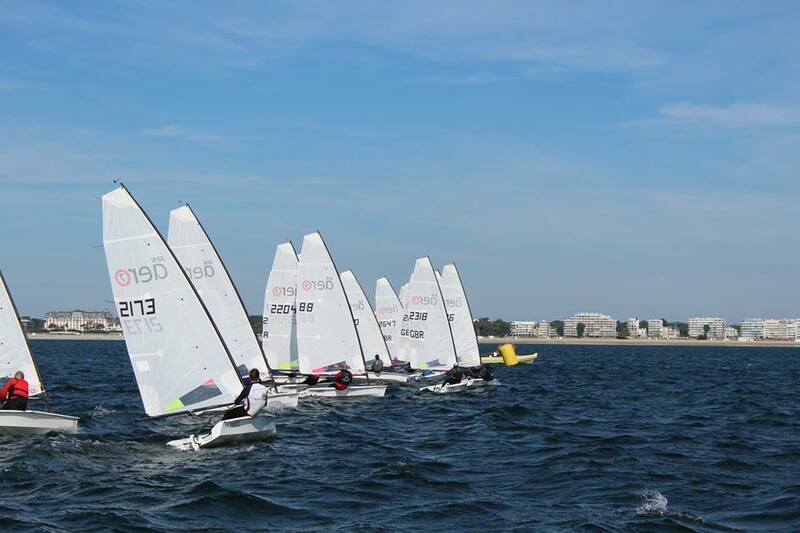 The 2018 RS Aerocup International Regatta was graced with four days of blue skies and medium breezes; "c'est toujours comme ça ici, monsieur!" Add to that the beautiful French seaside resort of La Baule just after the busy holiday season we were on for a gem of a long weekend! The offshore winds gave flat conditions and what we missed in Atlantic rollers we gained in the challenge of frequent shifts and well defined gust lines. These gifted continual opportunities to progress both upwards or downwards throughout the 24 boat fleet, with manageable racing for all. 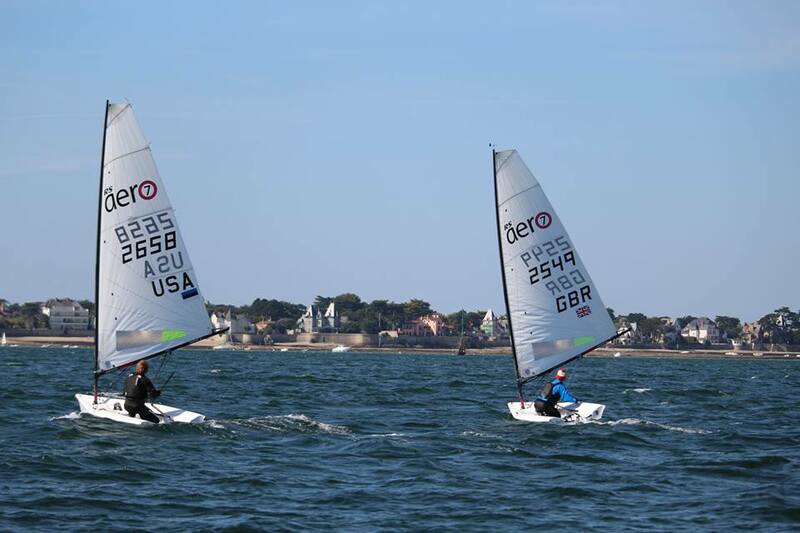 The provision of seven Charter RS Aeros brought from the UK and a few more provided by RS France allowed Estonian and Australian sailors to join the regatta and several new faces to try out the Class at an enjoyable international regatta. A mid afternoon start allowed time for late travellers, including Brits who had caught the overnight ferry. In the tricky offshore breeze Liina Kolk EST led the fleet with a 1,4 - the only competitor able to take two top results. The winner of Race 2 was RS Aero newbee, Keri Harris GBR, from Paris. Karl Thorne GBR rounded out the top three with a safe 6,2. After a pleasant Opening Ceremony at the club the fleet adjourned to the harbour side for dinner. 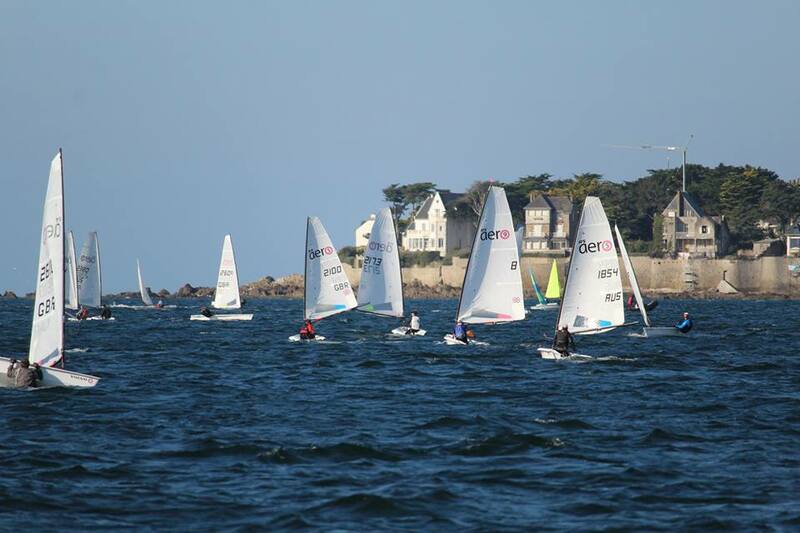 The breeze was up providing a fresh start with 12-18kn gusting off La Baule's plage. Once again glorious blue skies graced the beautiful bay and the day warmed up quickly. An adverse tide held the fleet back on the start line for clean starts all day. Liina Kolk EST hung onto 3rd overall with three solid results. Gilles Peeters FRA powered out a string of three 3rds and Ants Haavel EST showed incredible down-wind pace for three 2nds and popped up to 2nd overall. Peter Barton GBR lent on his straps to graft out three 1sts to put his series back on track. 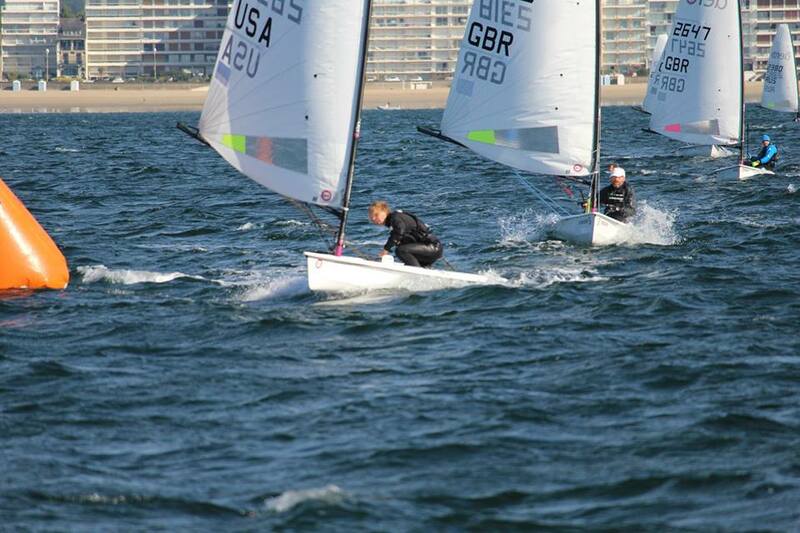 Top RS Aero 5 in the breeze was Julie Willis GBR and top RS Aero 9 Aleksei Zigadlo EST. The Club laid on yummy Galettes and Crepes for the hungry sailors. Another blue sky day, this time with mixed wine strength, something for everyone puffing and panting off le promenade de La Baule. The compass was invaluable to both identify and quantify the shifts whilst trying to also stitch together the gusts where possible. The battle of the RS Aero 5s was heating up with Benoit Cailleux FRA having leapfrogged Julie Willis GBR to leave it all tight going into the final day. Top RS Aero 9 was still Aleksei Zigadlo EST holding off Andy Wilkins GBR. The strong arm of the Jury got stuck in ashore, keeping us all honest in raising both a mark and a propulsion incident. A light to medium breeze for two morning races enabling an early finish on the final day. Quentin Milleret FRA was quickly becoming familiar with the RS Aero and took the first win from Liina Kolk EST. Peter Barton GBR took the second from Ants Haavel EST and they finished overall in that order with Liina Kolk EST in 3rd overall. Benoit Cailleux FRA retained the RS Aero 5 lead and the fast improving Aleksei Zigadlo EST held on to the big boys RS Aero 9 crown. Thanks to the CNBPP for splendid racing and being wonderful hosts in their comfortable club. It was wonderful to see such a variety of sailing activity on their beautiful Bay all week. Thanks to Rooster, Brittany Ferries, Volvo Cars, RS Sailing (UK) and RS France for their support, helping make excellent sailing events possible.